More room now available !! 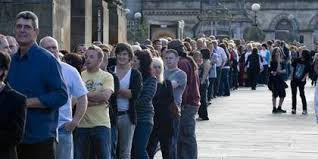 Our gig this Sunday 26th is virtually sold out in pre-sales, but we have just had confirmation from the club that we can increase the audience capacity, so we will be able to accommodate a few more of you Badgers Big Band Buffs – either through on-line sales or by just turning up and paying on the door on the night – good news indeed. Another Badger first, a glowing review of our launch gig in the September issue of SLAP Magazine. 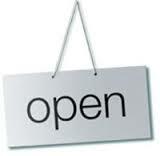 It gives us great pleasure to declare ‘The Badger Shop‘ open. This is your one-stop shop for your Badger Big Band Gig Tickets. Tickets are now available in our shop for ‘The Tricky Second Gig’ on Sunday 26th October at St Patrick’s Irish Club. They are already going quickly, so get them before we sell out again. What a Badgertastic night we had! The Badgers played their first gig at The St Patrick’s Irish Club in Leamington last night and what a night it was! The band had great fun performing to a sell out crowd and were absolutely buzzing by the end of it. We would like to thank everyone who came to see us, it was so great to see some old friends and meet some new ones. The feedback you gave us was fantastic and very encouraging, you seemed to enjoy yourselves and at the end of the day that is what it was all about. Well done to Justin, who won the “Badgers Ale” in our interactive competition on Facebook. Well it has finally come around! Today is the day of our launch gig. Still so much to organise but will all be in place by 6:30 when the doors open. We are looking forward to seeing some old friends and meeting some new ones. All the Badgers are very excited about tonight. 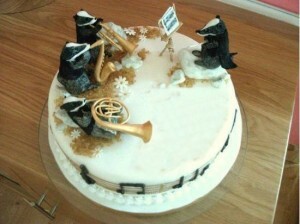 It’s The Badgers Big Band 1st Birthday. Mr and Mrs Badger would like to thank all their Badgers and their dep Badgers for all their hard work and dedication over the past year. We are looking forward to the Launch Gig next Sunday. 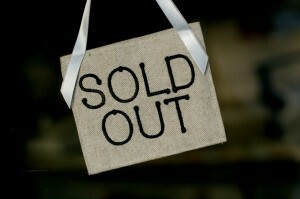 Sold Out – but don’t despair! We are pleased to announce that tickets for our launch gig on 17th August are now SOLD OUT ! The good news is that if you missed out on one of this summer’s most anticipated gigs, our next public gig on Sunday 26th October. Again, we anticipate high demand for tickets, so our best advice is to go to our Badger Shop and get your tickets while you still can. It’s the middle of summer but we are already planning for our gig for 28th December. Originally entitled “The Totally Non-Festive Gig“, we have bitten the bullet and added some great Big Band versions of a few Christmas songs – and changed the name of the gig to “The 80% Non-Festive Gig“. And now, back to the final few tweaks and shines to our launch gig on 17th August – and selling those last few remaining tickets. We are having a very busy Badger day today. Loads of technology stuff going on :-). Preparations are going well not only for our Launch Gig on 17th August, but also our future regular gigs at the band’s base at St. Patricks Club in Leamington. Our Pat Metheny catalogue is growing by the week, as well as some great funk and swing charts from the libraries of Les Hooper, Doc Severinsen and Maynard Ferguson. Tickets for all gigs are £7.50 and are available from the Badger Shop. Tickets for the December gig will be available mid September.